On today's episode of RUN with Coach Parry we chat to Lizahn Oosthuizen, she is a member of the Coach Parry Online Training Community and is on a mission to make a comeback to running after a long time off. Lindsey guides her on all things training, injuries and how to build up starting from nothing again. Share your story with us by using #BiogenJourney and be sure to also keep up with Hobbo on his #BiogenJourney to IronMan70.3 Durban later this year. Brad Brown: Hey, how’s it going? Welcome onto this edition of Run. I’m Brad Brown, it’s good to be with you once again today and I’m so excited to be able to share today’s podcast with you because I love chatting to runners who are just really excited about what they’re doing and today we get to share a pretty cool story, someone who was a pretty decent athlete in their youth and then picked up a pretty serious injury and didn’t run for more than 30 years and is on the comeback trail which is awesome. They’ve just finished their first 10km, so practically starting out from scratch again. You’ll hear story, it’s fantastic. We catch up with Lizhán Oosthuizen and share a little bit about her journey and some of her goals and what she’s hoping to achieve over the next 12 months here on today’s podcast. I think you’re going to love it. Before we get into today’s podcast, just a massive thank you to the sponsor of this edition of Run, it is brought to you by Biogen. If you haven’t been following Hobbo’s journey to Ironman 70.3 in Durbs, this June, make sure you head back into the podcast feet and listen to some of the chats we’ve done with Hobbo. He spent his festive period in New Zealand and we’ll catch up with him shortly here on the podcast as well to find out how that went. I’ve been seeing some cool posts on Facebook about some of the stuff that he’s beginning to do in the land of the long white cloud. The good news is he has stayed active. He’s got a lot of work to do in the buildup to 70.3 but we’re going to be helping him along that journey. If you’d like to win yourself access to the Coach Parry online training platform, let us know about your Biogen journey, use the #BiogenJourney on the socials and we could be making you a winner and giving you access to the Coach Parry online platform. Definitely check out what Hobbo is up to and definitely check out that hashtag on social media as well to see some other very inspiring stories too. Some more housekeeping, just to get out the way as well, if you are running Comrades this year, the good news is the Comrades Bonitas online success seminars are back, the first one taking place as we record this. It’s just on a week to go, Monday the 21st January is when the first one is happening, but this URL, it doesn’t matter when you listen to this podcast, if you go to this URL the details of the next one will be there. Just go to coachparry.com/webinar, the link is in the show notes to this episode as well. Make sure you register and if you are running, make sure you’re there, you don’t want to miss out, these live seminars are an opportunity for you to hang out with Lindsey and myself and get your questions answered in real time to make sure that you get your medal come Comrades 2019, so definitely check them out. That’s coachparry.com/webinar. Enough of me yacking, enough of the housekeeping, let’s get straight into today’s episode of Run where we catch up with Lindsey and Lizhán. We head to my old home town now, to catch up with another one of our members of the Coach Parry online community. Lizhán Oosthuizen, welcome onto the podcast, thanks for joining us. Lizhán Oosthuizen: Thanks a lot for allowing me. BB: Lizhán, I’m so excited to have you on because we get to help people along their journey and your journey has been amazing to watch because you’ve been like a sponge. You’ve been asking great questions in the forums and you’ve set a pretty cool goal and you’ve achieve it and now you’re looking to do what’s next. 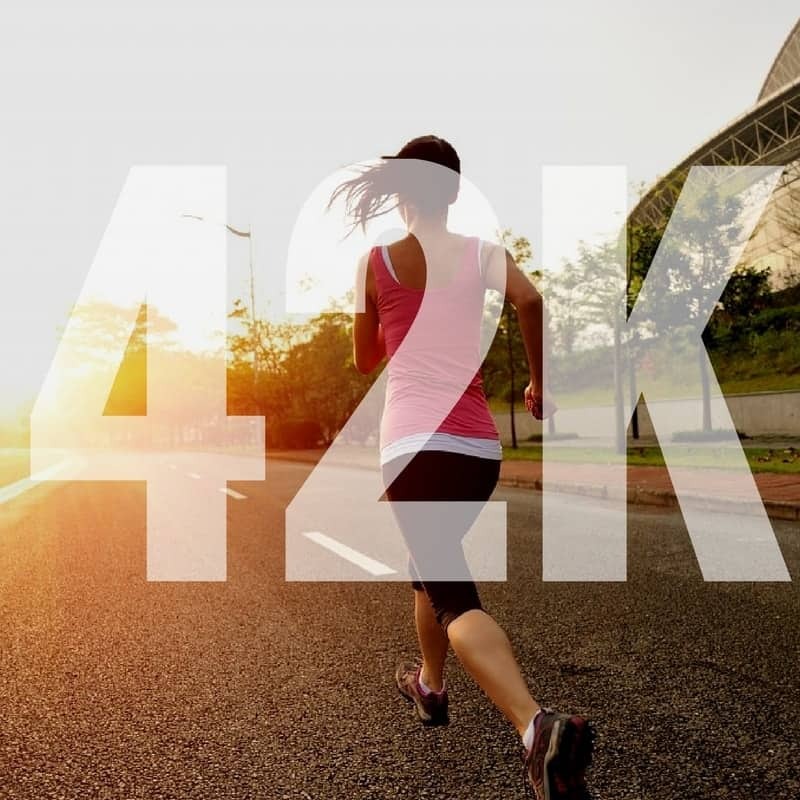 Let’s talk a little bit about your running because it’s been a while. You took quite a long break and now you’re back and you are flying. Growing up, were you a runner? Tell me a bit about how you got into the sport, first of all. LO: As I said, I grew up in a small town where we didn’t have a lot of opportunities for sport. Coming from a sporty family, I really did everything that was available. Athletics was one of those things; I did athletics from when i went to school. Then I copycatted my brother, he’s just a year older than me. I copycatted him. If he did the 1,000m, I did the 1,000m! That’s how it started. I went with him practicing for the 1,000m one day and the next moment told my mum I’m running the 1,000m. I have not practiced or exercised or anything and she told me that day, “Listen, just one thing, if you start, you finish, even if they lap you, you finish.” So, yes, I finished first in a new record time. LO: I don’t know if it was talent or fear, I’m not exactly sure yet, but that’s where it all started. Then I just loved it, obviously doing well is good for your self-esteem and all of that and then two years later my cousin introduced me to cross country. I was, I think, 12 years old and I just loved cross country from the get-go. When I was 12 years old I joined an athletics club in PE and I was privileged enough to have a decent coach back then. Then I started doing well in cross country, doing road races whenever I can and I just loved it then, but not half as much as now. BB: That’s awesome. You ran through, I’m guessing through your teens, but then you stopped. Tell me a little bit about what was the reasoning behind not carrying on? LO: I was actually 15 years old when I got this huge injury and not having the rehabilitation programmes available and facilities available, I totally stopped. I stopped and I got fat and I tried to start again the next year, but I was so unfit by then and so demotivated and struggling. I was struggling with my academics too, I was in Grade 11 then, so I decided I’ll have to decide, am I going to pass matric or am I going to run? It’s not both of them! I tried to focus on my academics then and I never started then, although each year, I think when it’s the Comrades time I think, oh my word, I wish, I wish, I wish. It stayed with, ‘I wish’ until two years ago I decided, okay, now it’s time again. I started running again but I didn’t have a decent programme or decent running shoes or anything and my knee didn’t cooperate by then. I was in a hit and run accident when I was small and I got the knee injury from then, but my knee just didn’t go very well. I think not having the correct running shoes contributed hugely. Then I stopped again and last year I decided this is my last attempt! BB: After deciding last year, obviously things are going pretty well. I think a lot of people, and the reason I wanted to tell that story is a lot of people, and I struggle with it too, where you ran at one stage in your life and for whatever reason, whether it’s injury or life just gets in the way and you get busy and you stop, it’s so difficult to get going again. You almost think about what it was like when you were running, in your, I don’t want to say your peak, but when you were running well and almost how easy it was and you expect, mentally, to be at that place again and as we get older, you said you put on some weight, I feel you, that’s me. It just becomes more and more difficult. This time around, what’s been different this time around LIzhán? LO: Okay, I got decent running shoes again and my actually gave me a Garmin watch as a gift, as motivation and I just thought, you know what? This is quite expensive, I better use this thing! That really motivated me and having the correct running shoes helped. Then I just one day decided, it was a Friday at work and I just decided, I’m going to register for Park Run now and I’m going to go tomorrow and that’s what I did. Then also, I had this mental thing about my knee, although it’s a physical thing too, but I had this mental thing of my knee keeping me back and it’s always about the knee. When I realised it’s a mental thing too, I dealt with that and ever since my knee is not bothering me! LO: My cousin encouraged me to get a Coach Parry training programme, to do it properly. So I did that in October last year, after running on my own, doing my own thing and having had help from my life coach in terms of heart rate stuff that I knew nothing about. I joined the Coach Parry platform in October and I followed the 10km finisher programme and that’s it! I can’t stop. BB: We sucked you in properly on this one. You did your first 10km back in forever, just a short while ago, tell us how it went? LO: It was actually the 5th of January, it was a week ago. I actually enjoyed it so much. I really struggle with my pacing, I tend to start off fast and I knew it, but I think the moment, it was such a great moment being there and being in a race since the first time in 32 years. I was so excited, I was so nervous. I was so nervous but it was lovely, I learnt so much and at this stage I really thought I was on for a sub 60, I really thought I was, but I couldn’t keep it up. I really loved it. BB: That’s awesome, that sub 60 is going to come, I’ve got no doubt. If you are one of the people in that platform who follows the programme religiously, like I said, you ask great questions, we’ve got the coach here as well, Lindsey is with us and I know you’ve got lots of questions for him, so I’m not going to hog the limelight anymore, I’m going to hand you over to Lindsey. Lindsey, how awesome is Lizhán’s story? Coming back after… I don’t want to give your age away Lizhán, but coming back after a while, it’s hard, it’s not easy. I speak from experience and to have your comeback race at just over 60 minutes in a 10km is fab and the bug has really bitten. Lindsey Parry: Look, it’s fantastic and it really, to be honest, besides the one little piece of information that she knows is that she knows that she used to be a good runner, it’s no different to anyone else who has never run in their lives. To be honest, it’s been so long since those days that you actually are the same. That is why you were so nervous and at the same time, although you weren’t competitive in the sense of thinking you could win the race, that old competitive, wanting to be the best runner you could be, that’s never going to die. That’s why you had this excitement to be back at a race and to really push yourself and then on the other side, you obviously had this anxiety which any normal beginner would have. It’s really cool and look, it’s extremely motivating for people who have never run before and who want to, to hear these kind of stories and that’s exactly why we have you on here today. BB: Cool, Lizhán, questions for Lindsey, let’s get you onto your next one and while that excitement is still there, let’s see what we can do? LO: Okay, my first question would be my concern about my shin. First, before the race I suddenly felt my shins are hurting. I never had any injury in that regard, so I don’t really know what it is, I just know it’s uncomfortable. On race day I didn’t have any problem, but suddenly the week after the race my right shin is really hurting. I took a bit of a rest and I couldn’t resist running this morning again! It’s not that sore any more, but it’s still there. I’m just concerned because I’m at the too fragile stage to just not train because I’m too scared I miss out too much, but also, I really need to stay injury free as much as possible. I don’t know where the balance is. I’m doing the ice thing and I’m doing the rolling the calves thing, so I’m not sure, should I rest more or should I just push through or what should I do? LP: I would keep up with the icing and the rolling, that’s good. I’m going to tie my answer in to another one of your questions that you sent through because I do know some of the questions you’re going to ask. One of the things you’re struggling with is the pacing. This is part of the reason why the pace is set up like it is set up. You’ve had an extremely good start here and you got very close to running under an hour, so just based on the result, my instinct was to say to you, okay, now you have to train for a sub hour. I do feel like that is still the right thing for you to do but in order to reduce the stress on your shin, which is, the stress is on your whole body but your shin is obviously the place that’s the weakest and so therefore it’s experiencing some sort of mild injury at the moment, which could get worse if we don’t do something about it. Part of that is to make sure that we run slower and I’ve explained this quite a few times over the last few weeks and I really don’t mind explaining again because it really is so important. For you to improve as a runner, you need to do certain workouts at certain paces. When we’re doing our aerobic workout, we are working in a band that’s kind of related to your ability right now. At the fast end of that band you’re going to improve that aerobic capacity to a similar degree to what you’re going to improve it at the slow end of the band, but the big difference is that at the slow end of the band you’re going to put your body under much less stress and therefore are less likely to get this sort of injury, or shin splints. Having said that, shin splints and ITB are the two most common beginner running injuries and as I said in my intro is that you really are a beginner. What to do about it moving forward? The first thing is that we need to drop the intensity slightly. Carry on with the icing. Carry on with the rolling. If we start running this week and as this week and next week progress, if you can feel that the shin is not getting any better, or if you can feel actually even worse, that it is actually progressing, then we need to seek probably some physio treatment and possibly just have a look at your shoes. You’ve built up really slowly and that 10km Finishers Programme that you went on, that was quite slow and then some strengthening exercises, particularly around the glutes and the quads. Those are your most important muscles in terms of, I know the injury is down at the shin and that doesn’t make sense, but effectively, if our glutes and quads aren’t really strong and our hips are dropping or our knee is dropping, what that does is it causes a twisting of the tibia and that is ultimately what then causes the stress fracture. Having said that, as you build up slowly and become a stronger runner, it’s much less likely that you will get shin splints. That’s kind of where I would be now. Obviously the worst case scenario here for me is that you need a little bit more rest and you’ve got to start getting onto a stationary bicycle which runners love to do! That’s your worst case scenario. 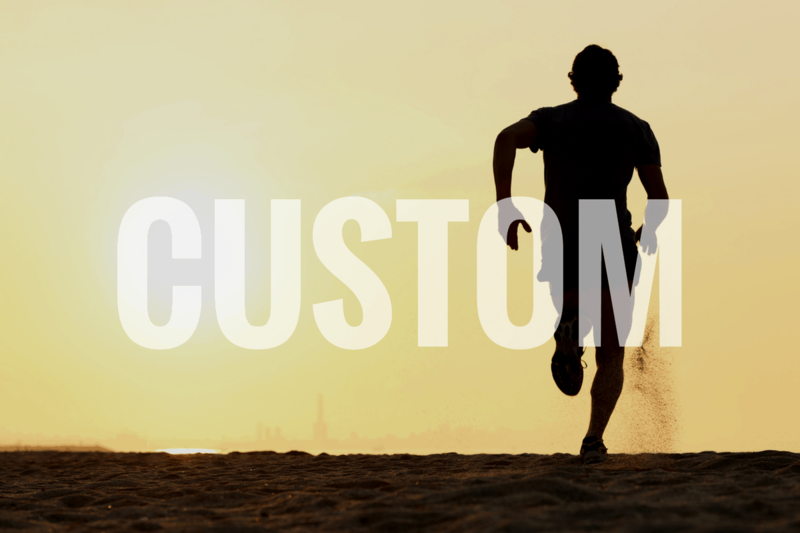 I think this week I would progress, I would start on the sub 10, the sub hour 10km programme and then kind of get into the forums, let us know how it’s progressing and then you may need some physio towards the end of the week, we’ll see how you respond. LO: Great and I started the strength training programme last week. LP: Okay, great, I think that’s also going to make a difference but obviously that’s going to take some time for you to feel the impact. LO: My next question is, look, I know I’m still a long time ago, away from my ultimate goal but my head needs planning and I need to keep myself excited. I would like to know my buildup, because I said my goal is to do, by the end of the year, a few half marathons but I really would like a decent time. I’m just competitive, so I don’t just want… not that I say ‘finish’ I just finish, but you know what I mean. LO: My question is my buildup, how should it… should I focus on getting faster on a 10km before moving to a half marathon and then the same, getting fast on the half marathon before moving to the marathon or should I go for endurance and then speed, which one comes first? LP: I would prefer it if we worked on the getting you faster over the short stuff. That’s why, for me, in the immediate short term I would like us to go under 60 minutes for 10km. You’re so close that next time out, to be honest, even without a training programme, I think you would do it but I just, I think another 10km programme will also just allow your body to strengthen a little bit more, meaning that your injury risk is that much slower. After that, so that would take us up to round about March/April and then yes, I think we need to move up to the half marathon and then running halves and 10s, they’re not mutually exclusive. The nice thing about once you’re training for the half marathon is that you can use, you mentioned Park Runs earlier, but you can use Park Runs and 10km races as part of that 12 week buildup because your body is going to be a whole lot stronger. When you do do a hard race like that, as long as you’re not doing it every single weekend, you’re going to recover from that quite quickly. In the build up to your first half, you might do two Park Runs and a 10km, as part of that buildup. You will still be improving your 5km and 10km speed and my gut feeling, but we’ll see, we can have a look and see how you progress through the year. My gut feeling is that you’ll probably do two halves, and that will take us through to the end of the year because then we’ll go to March, then March to June. Actually then there will still be chance for either a third half, depending on where you are and how you’re feeling, or moving to the marathon. Look, I will probably lean to let’s see if we can do another half, just because I know, I know what the ultimate goal is, but I also know that in South Africa we just want to go longer, longer, longer but certainly the potential is there to then tick off a marathon before the end of this year or it’s going really well, to really see how fast can we go over 10km and 21km. LO: I still don’t know if it’s a realistic goal or not, I’ll figure that out along the way, and that is connected to my next question about Comrades. 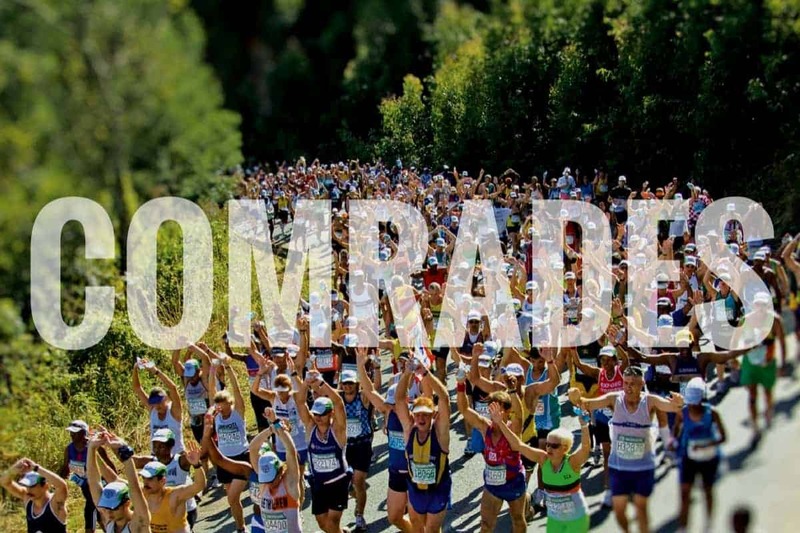 My plan is actually to try, not to try, to do my first Comrades in 2021, only then. Initially it was about the up run and the knee, but that’s out of the way now. I’m just wondering if I should stick to that and build up gradually and give myself a chance of really doing a nice Comrades because again, I don’t want to finish just in time. Maybe the thought came, of running, maybe try and run the Comrades next year, although it’s a down run and experience the vibe and get used to, not being overwhelmed and just enjoy it and then the next year, which will be the up run 2021, try and go for it. LP: I wouldn’t make that decision now. I would make that decision probably around September this year and even if you do not run a marathon this year, that still wouldn’t, to me, rule out doing Comrades next year. 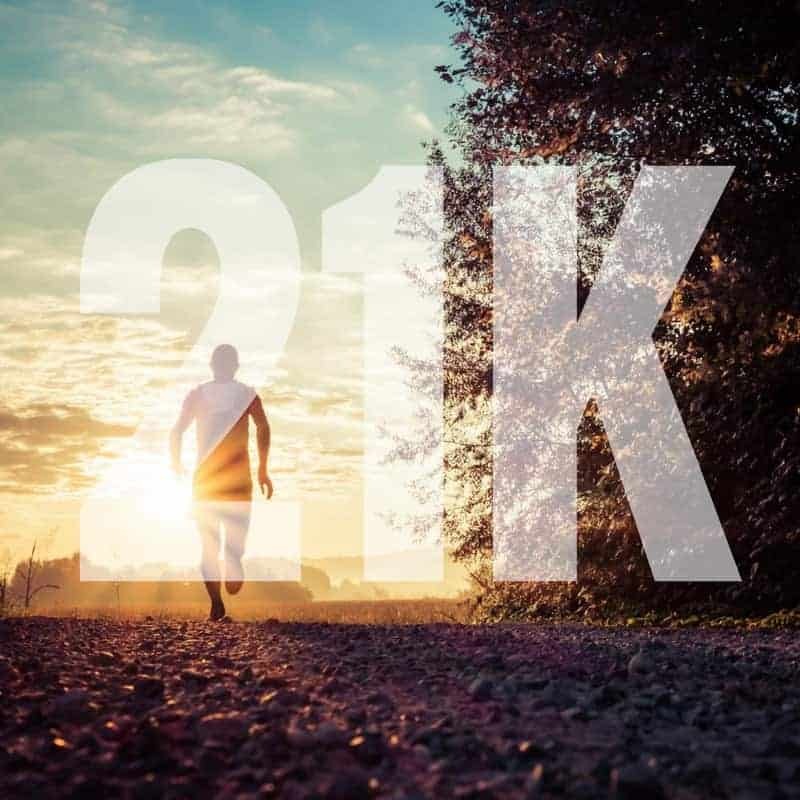 I think if you spend this year doing mostly, you know, training for 10s and then 21s and getting three or four 21s under the belt, but in particular, if those 21s start getting down to quite reasonable times, the confidence to know that you’ll be able to do a decent Comrades will come from that. Qualifying only needs to happen somewhere between the last week of February and the middle of March or the beginning of March is probably ideal. Ultimately you will have, that decision will actually, you will definitely have to make it by the end of the year because then we’ll move you onto a 12 week marathon programme, but I think let’s wait and see where you go, how much are you enjoying 21s, how confident are you and that question will answer itself, depending on how the progress goes over the next six months. LO: Okay, awesome. I’ve got my list here, sorry, I’m looking! Park Runs again and I really love Park Runs and it’s where it started again for me last year, so at the moment I’m not doing any Park Runs, walking the odd one because it doesn’t fit into the training programme that I had and I really, I like to stick to the programme. How can I incorporate Park Runs in my new training programme, if possible, otherwise I’ll just volunteer, but I need to go to the Park Run! LP: You absolutely can incorporate them and I would say that at the beginning you could probably, look, you can definitely go and run a hard Park Run at least once every four weeks. That’s the minimum here, but I would go as far as to say that as soon as we’re happy with the shin and the shin has settled down, that we could probably incorporate that every second week and once we get through the next training block of 12 weeks and into our third block of 12 weeks, I’d go so far as to say you could probably run a Park Run hard three out of four weeks. It’ll be like your speed work session, so you could certainly, look, you could definitely incorporate it as just an easy run, if you go down there and you just want to feel the vibe and then of course you can do that every week, no problem, but we can also incorporate it as a bit of speed work and that hard 5km will be a lower risk initially than doing intervals because the 5km, although your tendency is to start too fast, there’s still enough self-inhibition to control that start that it does actually provide a safe way to do speed work. A Park Run we can definitely find a whole lot of ways to incorporate that into your training, especially if it’s going to help you stay motivated and help you to motivate other people. Then we must do that. LO: Yes, definitely, okay. My next question is about nutrition. I can’t remember because it’s really too long ago, what my mum gave me when I was a kid. I remember bananas but I’m not sure and I don’t think it’s a big issue just now but going forward, I’m not sure about nutrition because I have a very sweet tooth, so I really try to get rid of that sweet tooth, but carbs also. I don’t do very good on carbs, I will increase my weight in a rapid way if I go the heavy carb way. I’m not sure how to deal with it at the moment. LP: I’m going to answer that by making two or three comments. The first and most important comment to that is that human beings are extremely adaptive. We tend to adapt fairly well to most things but we also, at the same time, can tell what is good/bad for us because of the response that we have. If you eat a ton of carbs, you blow up like a balloon. You know, okay, that’s not for me. What do we do about that in terms of exercise? We know that until you want to start really pushing the performance envelope, that carbs aren’t actually that important as a fuel source. We actually burn fat much more efficiently and carbs are needed when we want to rev very high. What does that mean? It means that you can probably eat fairly normally what you’re accustomed to eating and then when we start to introduce a few months down the line, when we start introducing much harder workouts or you start to race much harder for distances of 21km and longer, then we do need to supplement with a little bit of carbohydrates and in that sense, then we will use more simple sugars. Then we look at it in terms of what I call ‘in exercise’ and ‘between exercise.’ Between exercise is everything that happens 30-40 minutes after exercise stops, all the way until the next exercise starts. Between exercise you do exactly what you do, which is to avoid the simple carbohydrates and to have some, but limited carbohydrates for the rest of the day. Then in exercise and that is high intensity, or that lasts longer than an hour and a half, we will then supplement with sugary drinks, gels. You’ll practice with those things and find the things that work for you because those are what you are going to use on race day. In terms of what did your parents give you and the meals the night before and the meals that you eat in the morning before, that stuff is, my parents gave me ProNutro. For years I thought that the only thing you could chow before doing exercise, whether it’s football, rugby or athletics, was ProNutro. It’s nothing else works and that goes back to that point where we adapt to what we use. A lot of people can have nothing in the morning before they run. Even if they practice it, race morning they’re so nervous and sick they can’t eat anything. Therefore again, my advice is that in the exercise we must make sure that we do all the right things. Of course, if you can eat and the race nerves don’t really bother you and you don’t mind waking up 2.5 hours before the race to eat because that’s also part of the problem, you don’t want to be eating, wake up an hour before the race and you eat and then you’re running with a full stomach. The thing that you’re used to, you don’t do anything new on race day. You eat what you normally eat before you exercise and the night before you race, you eat what you used to eat. I watch people sometimes, they eat meat and potatoes their whole life and then the night before they must now have a very creamy rich pasta. That’s just not going to make you feel good the next morning. Stick to the foods that you know and that you’re used to eating. LO: Okay, awesome. I just want to check quickly if there’s something else. We covered a lot. I think that’s it. That was all my questions for now until 10 minutes after we’re done! BB: I love that. The good news is, chances are you are going to have questions as soon as we hang up but you can pop them in the forum and we’ll get them answered there, so there’s definitely a place to go. Lizhán, we love having you in the community. I think everybody loves reading your posts, you’re just so excited and we all live vicariously through you. It’s amazing what you’ve done, well done, you should be super proud. LO: Thank you, I appreciate it. BB: Lindsey, parting shot from you, anything you want to add? LP: Just keep it up. In some respects it’s actually harder to start again when you know you used to be good because in a way, in some way you’re a little bit embarrassed by what you’ve let happen and so it’s really awesome that you did get up and it’s even better that it’s made you so excited. I think that’s actually, when I read your post on Facebook about how absolutely chuffed you were running a 10km I was like, that is exactly what running is about. There are only three people who can stand on the podium but there are 5,000 other people running the race and that’s exactly what it’s about. Just keep it up and keep inspiring the people around you. LO: Thanks a lot, yes, in the beginning it was really hard because I used to compare myself to way back when and I know I’m older and all of these, but running a first, my first Park Run was 38 minutes and I used to, my worst run was like in 19 minutes something. That was really hard but then again, I realised it’s a mental thing. You have to get over it because you can keep on comparing yourself to what used to be and I’m not going to be that fast again. I’m older now. LO: When I got over that, I started to enjoy it again and as I said in my email now, I really enjoy it much more now than I did way back then, when I was actually good! It’s exciting. BB: I love it! Lizhán, we’ll catch up in the forum, thank you so much for being so candid today and sharing your journey. 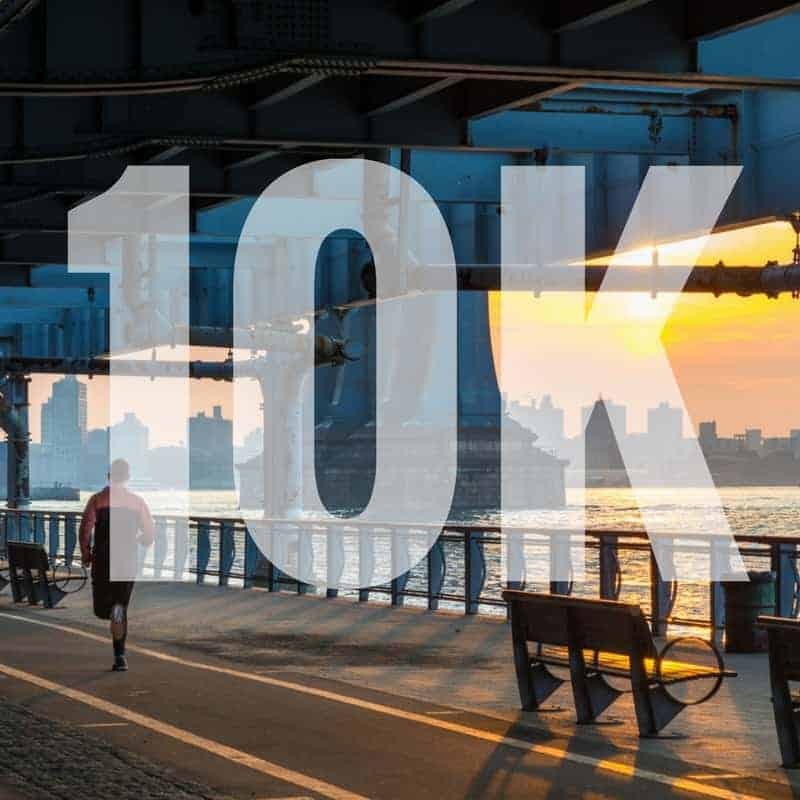 We can’t wait to see what you do in the next 10km and 21km and beyond that. I know Lindsey said let’s not set the long term goals today, it’s going to come later, but we know where you want to go and if you just keep on keeping on and following the process like you are, all of that will happen, so well done. LO: Definitely, thanks a lot, I enjoy it very much! BB: How cool is that? I absolutely love that; I’ve got such a smile on my face after listening to that, I’m fired up. I don’t know about you, the start of a brand new year, some cool things happening in 2019 and hopefully that inspired you to make some decisions for this year as well. If you need some help, make sure you head over to coachparry.com, our website, you can get all the details there. We’ve got some amazing training programmes in our online platform, make sure you check it out, coachparry.com is where you can get all the details. While you’re on that website, just go to coachparry.com/webinar to sign up for the next Coach Parry online success seminar with Bonitas and Comrades, your chance to ensure that you get your Comrades medal. Also use the hashtag, Biogen Journey on the socials to make sure that we pick you up and we could be giving you access to our online training platform. That’s #BiogenJourney; let us know what your journey is this year, what you are up to and we could be making you a winner. Until next time, from myself, Brad Brown and the coach, have yourself a good one, we’ll chat soon. Cheers.